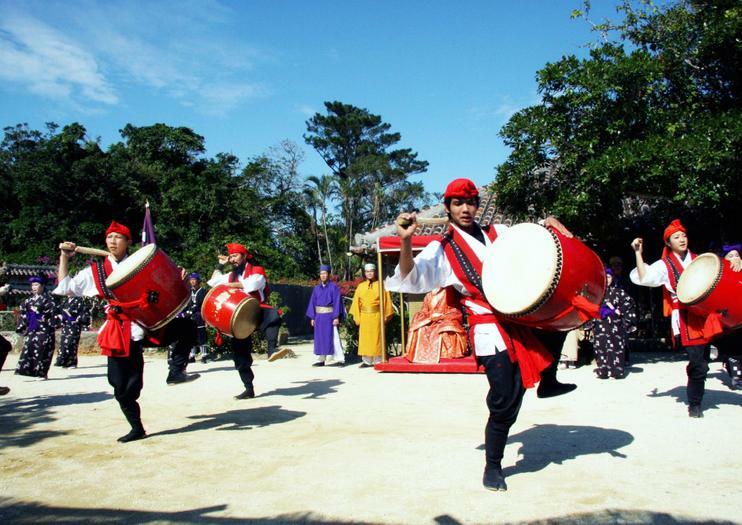 A trip to Ryukyu Mura may not be as authentic an experience as a visit to Okinawa’s rural hillside villages, but this popular destination still provides travelers with a taste of the region’s more traditional lifestyle and culture. Visitors can wander through examples of old school mountain housing, watch dance and theater performances and sample a variety of home-cooked local foods. Traditional artisans offer hands-on workshops for travelers interested in learning the art of pottery making, cloth-dying, weaving or cooking. These small group classes provide interested guests with the opportunity to learn more about the craft and culture of the region, and even create some souvenirs they’ll be happy to take home. Ryukyu Mura is open daily from 8:30 a.m. until 5:30 p.m. Summer hours (July through September) are 9 a.m. until 6 p.m. Entry is 1200 yen for adults and 600 yen for children. Credit cards are not accepted. It is accessible via Highway 58 or by using one of the Naha/Okinawa buses to Nago.